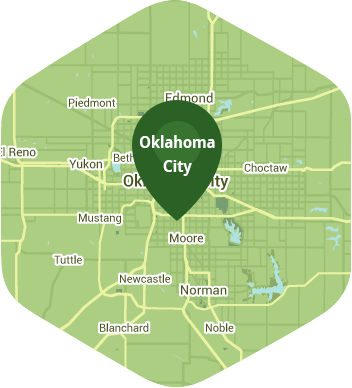 Book a skilled lawn pro in Choctaw. Backed by a total satisfaction guarantee and amazing customer support. Being the oldest charted town in Oklahoma is a pretty prestigious thing and an honor that Choctaw can call its own. Even though you can nearly see the Devon Energy Center from the middle of Choctaw because it's so close to downtown Oklahoma City, it's still a place that the people who live there feel is a diamond in the rough. In the hustle and bustle of everyday life, having a place to call you home is important, and enjoying that home is even more important. That is exactly why you need to let a little Lawn Love into your life. Lawn Love is a fully bonded and insured lawn care company. Our team of highly skilled and experienced lawn care technicians can take your lawn from ordinary to extraordinary and make it a place you truly love to call home. We can take care of all the weeding, seeding, mowing, and trimming - all you need to do is call us to get started. For a free, fast and easy two-minute quote just call Lawn Love today at 405-926-8318 to see what a little lawn love can do for you! Rated 4.75 / 5 stars in 3,720 Choctaw customer reviews. There won't be any rain in Choctaw today, which means you'll probably have to water your lawn. Dusk and dawn are the best times to water your lawn (the sun will rise at 6:45 AM and set at 8:09 PM today in Choctaw). Here are some average lawn care prices for homes in Choctaw. Average lawn size 8,744 sq. ft.